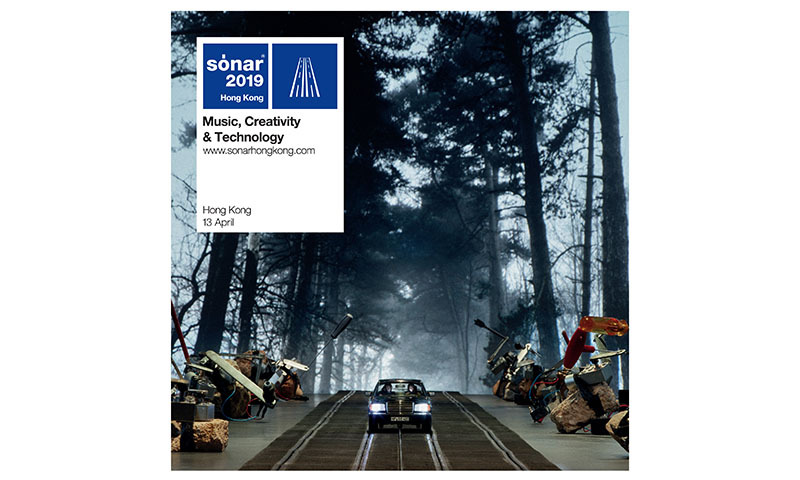 Anja Schneider, Art Department, Bonobo (DJ set) and MØ are all coming to Hong Kong. Such a great collective of artists for this years event. We have put together some videos below to get a feel of what to expect from all of them! Once upon a time in a galaxy not far away, there lived two kings. Each was the ruler of his own deliciously glorious planet. The first king, Manchildblack, was well known throughout the cosmos for his ethereal vocals, celestial sonics and earthy musical messages. The other king, Monstah Manchild Black, was a star in the solar system for his gravity defying performances, gender bending fashions and spacey disposition. One magical night, an inexplicable ultra-magnetic pull forced the two planets to collide. A technicoloured explosion occurred, turning night into day, with a feast of aural and visual delights. It was then that the universe was changed forever. Manchildblack and Monstah Black united and became The Illustrious Blacks. With inspiration from artists like Prince, David Bowie, Grace Jones, Boy George and George Clinton, The Illustrious Blacks have arrived with a mission to fuse futuristic funk, hypnotic house and cosmic pop into pulsating positivity for the planet. The real life married couple are not only co -pilots on their artistic voyage, but are united in their fantastical journey through life. 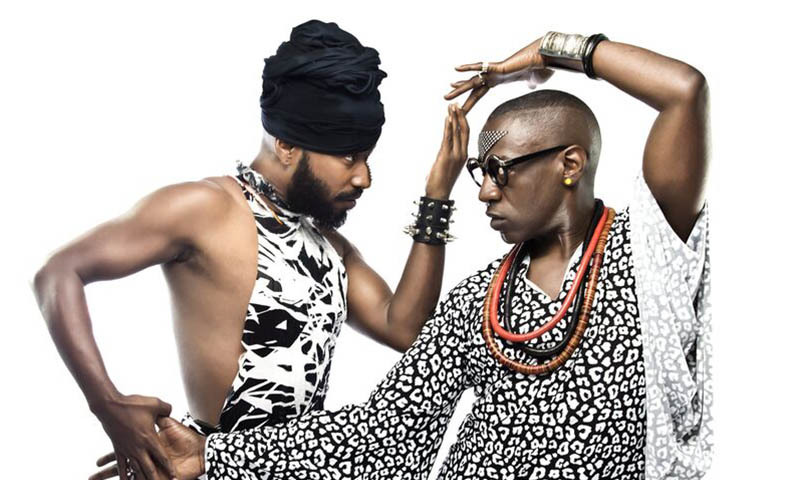 The acclaimed duo found even more praise for their epic live shows and DJ sets, which fuse music, dance, theatre & fashion as the ingredients to expand minds, shake booty’s and save the world one beat at a time. Their infectious DJ set on Okayplayer’s Facebook live went viral and has put them on the global radar of emerging artists. The Illustrious Blacks have been receiving praise from major media outlets. Their celebratory music video “Black Like Jesus” was premiered in Billboard Magazine and their latest single “Revolutionary Love” debuted in Paper Magazine. The couple was also followed around their Brooklyn neighborhood for an article in the New York Times. Together, as The Illustrious Blacks, they have combined their powers and metamorphosed into supernovas, blazing through the Milky Way like a comet, with their own unique brand of cosmic freak nobility. Supporting DJ's alongside The Illustrious Blacks will be DJ DJ Fergus Heathcote, FAB D VERSE, DJ Arun R.
Rúla Búla, the friendly well known Irish bar located in the centre of Lan Kwai Fong will be hosting a 2 day Saint Patrick's Day Weekend this year, with the Naggin Eejits performing LIVE, plenty of draught Guinness and not to mention all of you! The Naggin Eejits is a motley crew of musicians who loves Celtic music and love to entertain in Hong Kong will be performing over the two days until late. 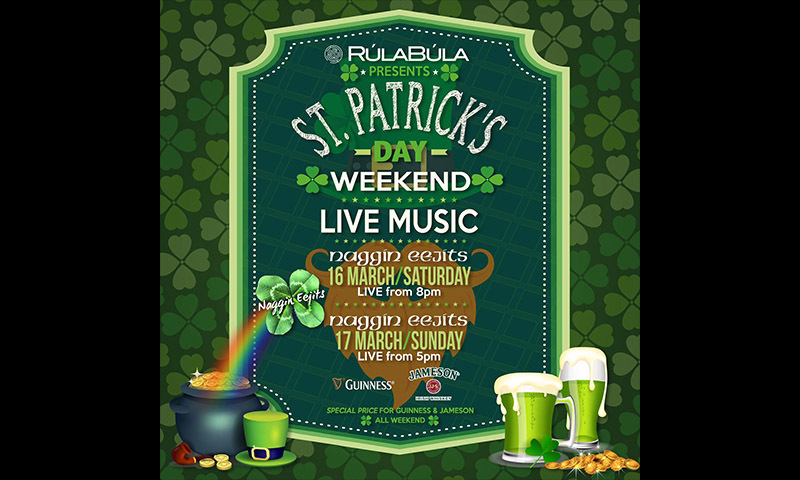 Expect two days of music and cheer at the only place you want to be this St Patrick’s Day, Rúla Búla. Special price for Guinness & Jameson all weekend! 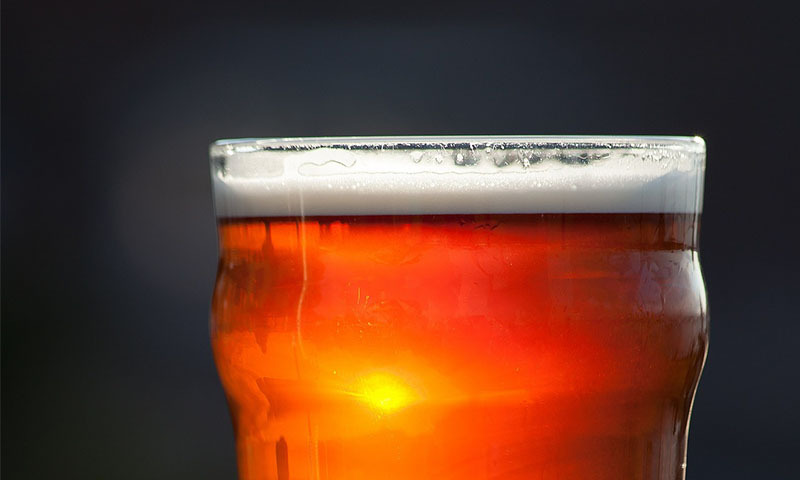 The beer market in the last few years has just exploded and there are so many amazing local and international craft beers brewed in Hong Kong and imported every month. Around the Central area there are quite a few options with the longest running bar The Globe one of fav places to go with a great selection of taps and bottles, which gets changed pretty often. The Globe in off Hollywood Road and more around the Lan Kwai Fong area Rúla Búla has just relaunched with an awesome craft beer station. They currently have local beers Seven Brews and Black Kite on tap as well as a selection of bottles too. One of the best and long running bars in Hong Kong hands down would be the Dickens Bar at The Excelsior, Hong Kong. 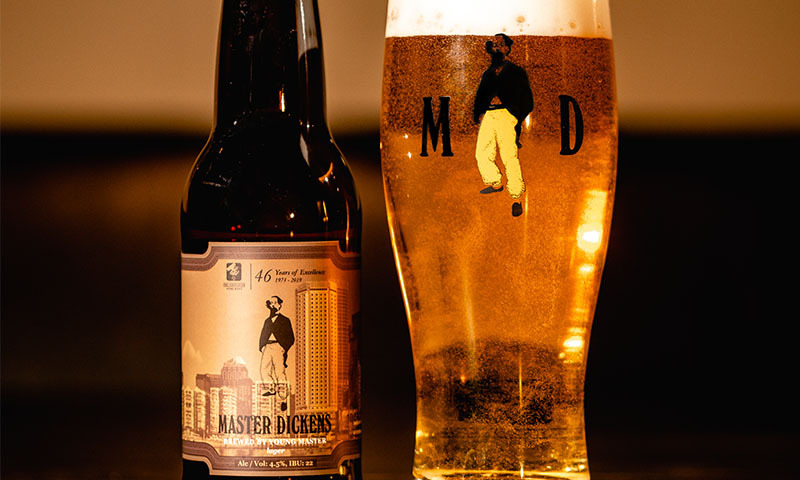 Unfortunately the hotel will be closing after 46 years of success and so Dickens Bar (and other outlets in the hotel) will be having their finale party on the 30 March 2019. So what is planned? Guests will get gifts during its final Quiz Night, a stand-up comedian playing quizmaster and live music while everyone will enjoy Dickens’ awesome curries for the last time. 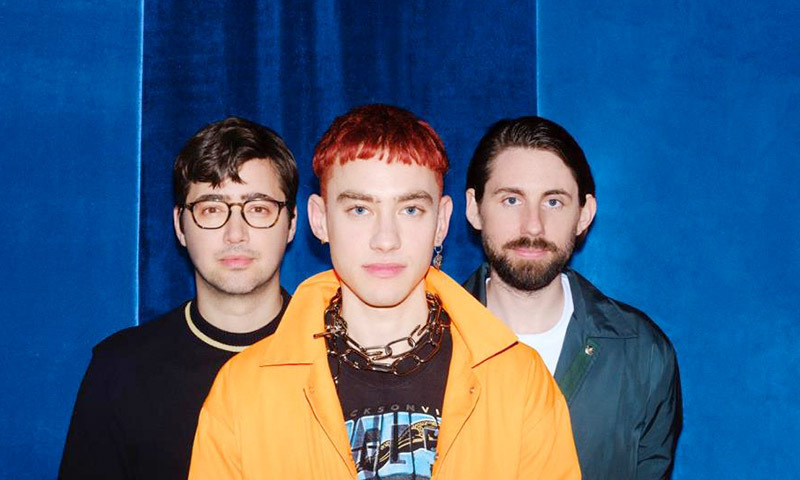 Very sad to hear but Manila (25 February), Singapore (27 February), Bangkok (1 March) & Hong Kong (3 March) dates of the Years & Years The Palo Santo Asia Tour are cancelled. We were looking forward to this one especially as group has recently been releasing some great new songs and even one on Valentine's Day! 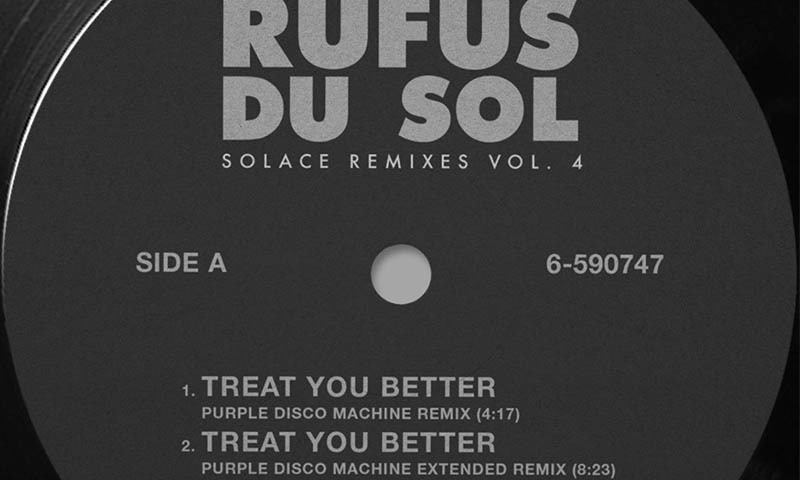 Years & Years are hoping to reschedule these as soon as possible. Shows in Taiwan, Japan and South Korea will go ahead as planned. So while we wait for a new date here is that latest video Years & Years with MNEK called Valentino! 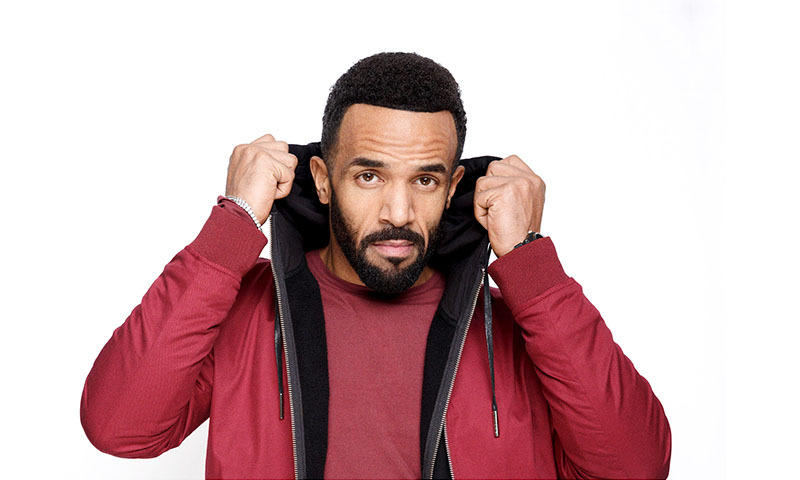 Craig David, will be bringing his TS5 show to Hong Kong for the very first time on February 21st at Qube (venue change) in Central. We have always been a fan of his tunes since his first album now 19 years ago. About a year ago we heard about TS5 and saw some great videos online of his show with DJing and singing, not only his classic tracks but also some awesome covers of other songs. 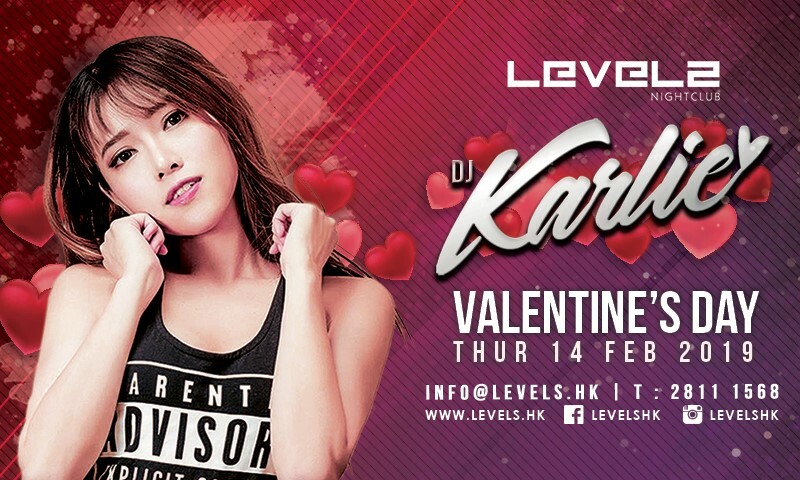 We could not really wait to see him one day and now this month Hong Kong will actually have the chance at Qube (venue change). Kick it up a notch with the talented DJ Barry at the decks on March 1st. 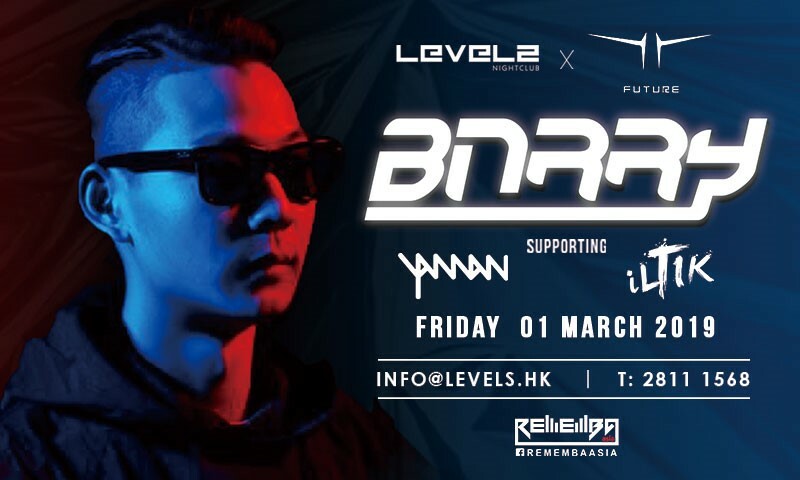 He's bringing his unique blend of Trap, Bass, and House to LEVELS from Club FUTURE in Nanjing, China. Are you ready for an epic night? Mark your calendars today!